Home Puppies Adoption from a Shelter vs Buying from a Breeder: Which is Pro Dog? Each year millions of people across the United States give homes to new canine friends. Never mind that growing pups and maturing dogs require lots of energy and resources. These beauts also bring heaps of smiles and good times to many a household. Yet sometimes the search to find a new dog friend can look daunting. 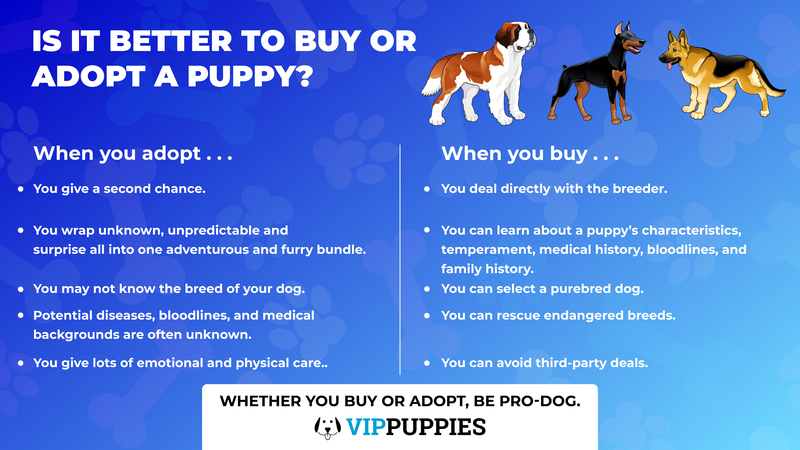 Whether it’s a trip to your local pet store, a visit with a reputable breeder, or time spent browsing local rescues and shelters, we know it’s not always easy to find a puppy or dog that is just right for you. Truth is, when searching for a healthy little pup, it can be difficult to know where to turn in your search. Some folks recommend working directly with quality canine breeders. Other voices beg you to save a shelter dog. Still others may pass on a positive review for the local pet store. Many people though will try sending you on deep guilt trips if you consider buying a pet. “Adopt, don’t shop” is a frequently encountered mantra. It can be hard to distinguish between all the voices in determining what is best for you. That’s why in today’s blog post, we are sharing the perks and low-downs of both buying or adopting a pet. We’ll address whether or not it’s wrong to buy a dog. We’ll discuss why “adopt, don’t shop” may be wrong, and we’ll look at the harsh realities happening through dog trafficking everyday. When you dig below the surface, you’ll soon discover things are not always as they appear. Read on so you can not only make an informed puppy decision, but also fight to promote the loving and ethical treatment of dogs. While buying a puppy is perfect for some, adopting a puppy may be a better fit for others. Never mind that adoption involves many unknowns and lots of hard work. Many people simply delight in giving a helpless shelter dog a second chance. If you are looking to adopt your next furry friend, know that many rescues and shelters know only how they got the dog. Until you actually bring a puppy home and start spending time together, it is simply not possible to know specific details about your dog. Unknowns can include any behavioral issues your dog may have as well as possible diseases or illnesses present. Some canines will carry high maintenance costs and you’ll never know your furry friend’s medical background, family history, and relevant bloodlines. Because of these unknowns, many families are simply not able to commit to adopting a puppy. Whether it’s because of small children in the home or needing specific characteristics in a new canine friend, adoption may not always be your best route. For example, if you’re on the hunt for a loyal service dog, you’ll want to be informed of background specs (think medical history, bloodlines, etc.) before bringing your prized friend home. Other people are simply unable to provide proper care for a rescue dog. Reasons could include a lack of time, not enough emotional strength, allergies, or even PTSD. In such cases, it is crucial to keep the dog’s best interests in mind. It is never fair to rescue a dog one day, only to return him to a shelter days or weeks later. So if you are looking to adopt a puppy or grown adult dog, know that adoption presents a slight gamble. There will be surprises and it will demand hard work on your part. Along the way, you’ll give both financial and emotional resources. Plus, depending on your canine’s health, you may encounter frequent trips to the veterinarian coupled with towering medical bills. Nonetheless, bringing home your very own rescue pet holds a heap of adventure. Imagine unknown, unpredictable, and surprise all wrapped up inside a single coat of fur. You’ll give a second chance, enjoy giving love, and work hard to provide a loving home. How your dog will respond and thrive under your care is all part of the adventure. 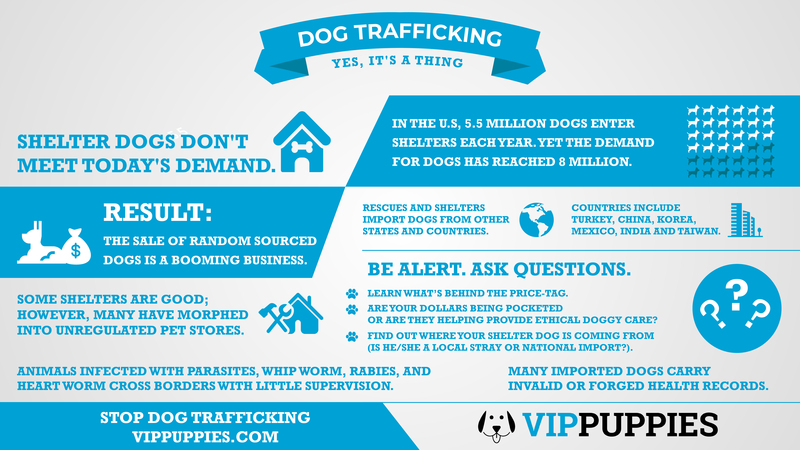 Believe it or not, dog trafficking is a real thing inside the United States. While there are many good and right rescues and shelters nationwide, not all are how they first appear. According to one study by researchers at MSU College of Veterinary Medicine, in the United States alone the demand for dogs has reached a staggering eight million annually. This same study went on to share that approximately 5.5 million dogs enter shelters during that same period. Of this number, less than 780,000 are euthanized (largely because they are either very sick or dangerous). An additional 969,000 dogs are returned to their owners, 778,000 are transferred to other rescues or shelters, and 2.6 million are adopted. When you crunch a few numbers, it soon becomes apparent that the supply of dogs provided by shelters simply does not meet the demand. If people are to adopt from shelters only, there literally are not enough canines to meet the demand nationwide. That’s right. There are not enough shelter dogs to meet today’s demand. In the past, rescue groups were commonly run by reliable breeders and kennel clubs. Only a small number of dogs were vetted and then matched with appropriate homes. So while today we often think of shelters versus breeders, history presents dog breeders among the first to create shelters out of a sheer love for dogs. However, today as a direct result of the “adopt don’t shop” movement, shelters have morphed into a booming business. People are flocking to rescues and shelters when choosing their next pupper friend. However, because the number of shelter dogs is too low to meet demand, shelters are stooping low to satisfy customers and cash in on the market. To add fuel to fire, there is an estimated 13,600 independent community animal shelters functioning across the United States. As of yet there is no national organization monitoring these facilities. Instead rescues and shelters are free to run as they will. While many shelters do have good intentions and work hard on the behalf of their dogs, this is not always the case. Sadly, many rescues and shelters are choosing to both import dogs from other states and countries, as well as resell puppy mill dogs. The profit is high. Regulations are low. It’s a ludicrous reality. The sale of random-sourced dogs has today become a booming business. And just where are some of the places these dogs are being sourced from? The NAIA estimated an annual import of one million dogs from countries including Turkey, China, Korea, and areas in the Middle East. Many of the dogs imported from these countries carry invalid or forged health records. In addition, according to the U.S. Centers for Disease Control and Prevention, foreign dogs are subject to different health and welfare laws than those of professionally bred U.S. dogs. As a result, many of the dogs being imported are carrying infectious canine diseases. For example, in Mexico, India, and Taiwan, Rabies runs rampant. Yet dogs continue pouring in from these very countries with little medical supervision. Rescues morph into unregulated pet stores as overpopulation becomes encouraged. Animals infected with parasites, whip worm, and heart worm cross borders. It all becomes one big misleading label as shelters scrounge to offer a variety of breeds to a demanding public. When talking of buying a puppy, most people work directly with reputable dog breeders. 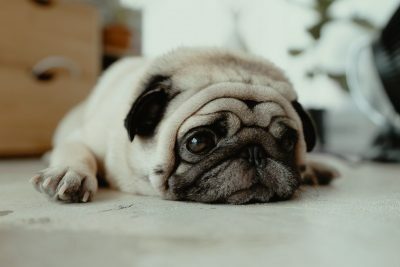 While it may be possible to purchase a puppy from your local pet store or work with a third party before buying your next pup, dealing straight with a breeder is often the preferred method. 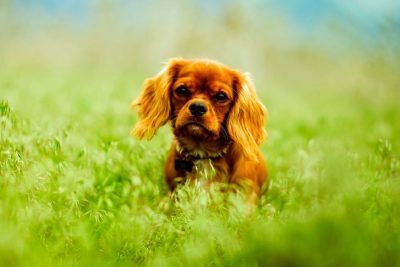 When you communicate directly with a reputable dog breeder, the breeder may often emphasize specific puppy characteristics and any purposeful breeding programs he or she is a part of. You are free to ask the breeder any questions you encounter about the puppy you are considering. 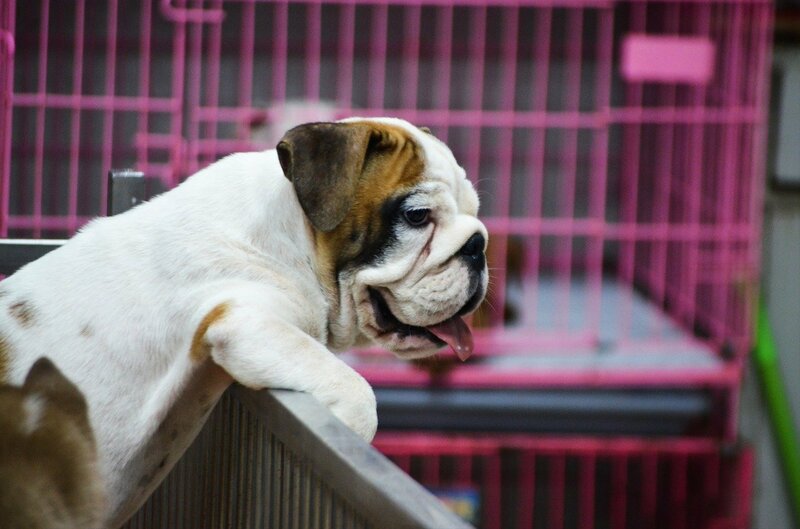 Plus, you can speak with the breeder about a puppy’s temperament, medical history, bloodlines, and family history. You’ll receive valid paperwork and any additional information the breeder passes your way. This direct connection with the breeder can soon prove invaluable as a breeder enjoys knowing each puppy from birth. 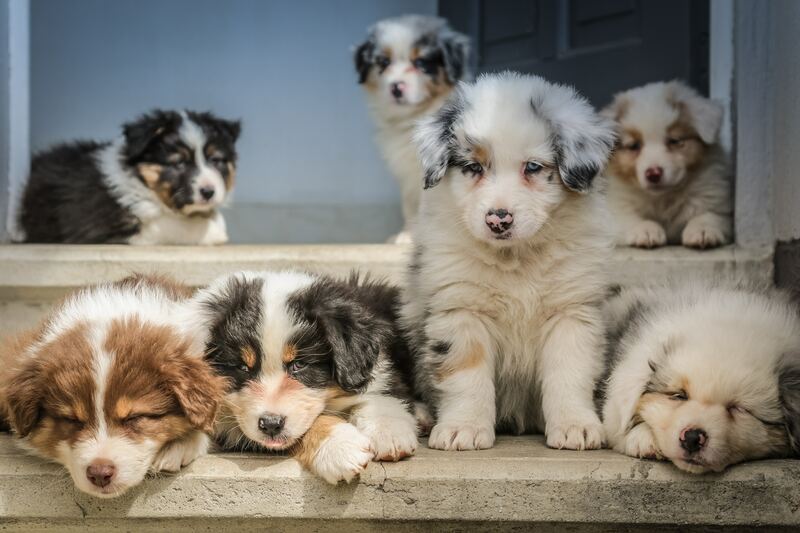 An elite puppy breeder will also be knowledgeable in the breed(s) he/she raises and is an excellent source to answer ongoing breed-specific questions. Whether it’s knowing which vaccines to recommend or what dog food to feed, breeders present a valuable source of information in regards to your new little pup. In history, people selected dogs to complete different types of work. There were hunting dogs, herding dogs, guard dogs and more. Each breed had their specialty in what they excelled at. Yet today, most dogs never enter a workforce. Instead families and singles alike are selecting new canine friends based on an entirely different scale. One person may be searching for a dog based on specific appearance. Another may want a dog originating in their respective country. Still another may be on the hunt for a canine pal with a particular temperament or athletic ability. Whatever you are looking for, by choosing to buy a puppy, you are given access to a beautiful variety of purebreds sure to meet your need. Yes, you read that correctly. Today there are dog breeds which sport only very small populations. If they were their own species, these breeds would be considered endangered due to their sheer lack in number. Many breeds have already become extinct while others remain on the brink. For example, according to the American Kennel Club, Labrador Retrievers, German Shepherds, and Golden Retrievers have been among the most popular dogs in the United States during the past several years. Many other breeds, however, are not so fortunate. Otterhounds, English Foxhounds, and Norwegian Lundehunds are low on the popularity totem pole. In fact some breeds are registering only a few hundred dogs each year. To protect these breeds from becoming extinct, it is paramount for purebred breeders to continue raising and nurturing these endangered breeds. When purchasing a puppy from a breeder, there’s no middle man. It’s just you and the breeder. Communication is streamlined, costs are efficient, and you can get a good understanding on what is inside your little puppy’s fur coat. The breeder is responsible to provide for your puppy’s health and well-being straight up until the day you bring your fur-ball home. Plus, you don’t need to fear unwanted surprises rising from your little pup’s background. While dog trafficking presents a dismal reality, reputable rescues and shelters do still remain. Not all shelters are pocketing hoards of money at a canine’s expense. And no, we are certainly not saying you should or shouldn’t adopt your next puppy from a shelter. However, it’s always good to be informed. As you continue your search to buy or adopt your next pet, ask questions and keep your eyes open for anything suspicious. If possible, find out where the dogs are coming from that are in each shelter. Are they local strays or were they imported from another state or country? Learn what’s behind each canine price tag. Are your dollars being pocketed, or are they being directed toward ethical doggy care? And the question remains: is it better to buy or adopt your next dog? Ultimately, it’s your free choice. It’s your choice to have a dog, or it’s your choice to not have a dog. In the same way, it’s your choice to buy a puppy or your choice to adopt a dog. What matters more than promoting or reacting to the “adopt, don’t shop” movement is that people are pro-dog. So the next time you are looking to bring home a puppy, rather than picking sides for adoption or buying, instead make sure your furry friend is coming from a loving and ethical facility. Be alert for anything suspicious. Ask questions. Avoid shady business. Consider also if you are able to provide a safe and loving home. Ask yourself if you have the physical, financial and emotional resources required to care for a new pet. As a fellow dog lover, make responsible decisions that will help reduce animal cruelty. If you’ve purchased or adopted a pet in the past, we’d love to hear your experience in the comments below. What do you recommend to dog lovers looking for a new pup? Will you do anything different the next time you’re looking to bring a puppy home?